Well that went spectacularly badly! 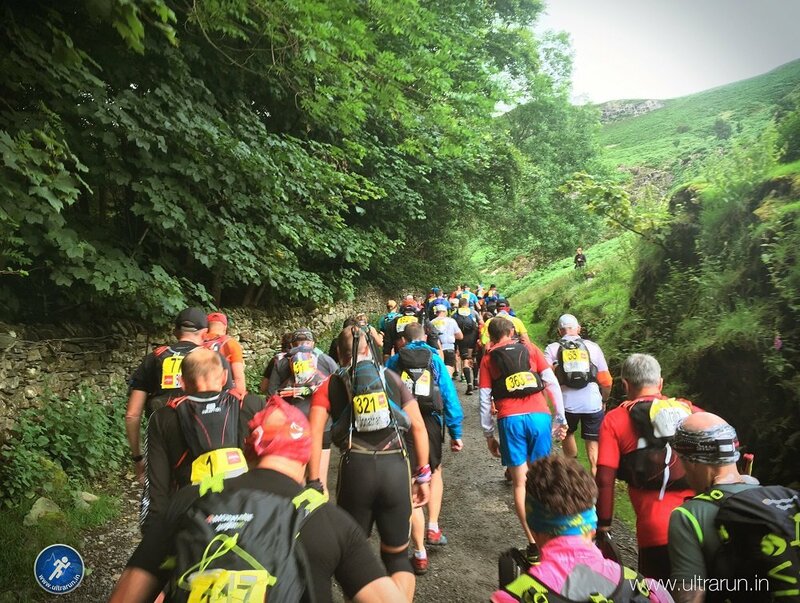 For those that read my pre-race thoughts on Lakeland 100, you will know that I was carrying a pelvis issue into the race but hoped I had done enough to get myself around the course. How wrong I was and on Friday night I experience my first ever race DNF (did not finish), pulling out at checkpoint 3 at Wasdale Head after covering just under 20 miles of the 105 mile course. If I am honest with myself, this is what I expected to happen but hoped it wouldn’t be the case. It was either going to go extremely well or end badly, no half way house. 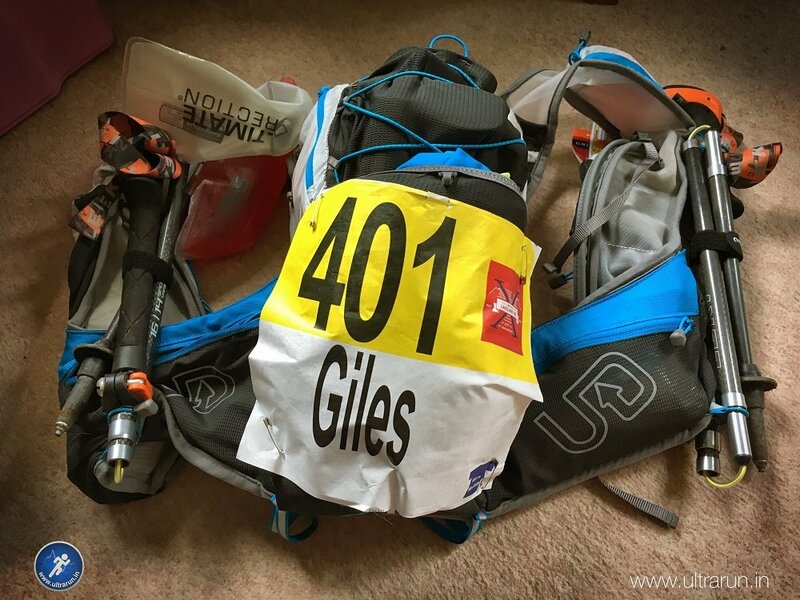 For those of you used to reading my race reports, you will know they are normally long, very long, as I try desperately to recall every little detail for future reference and to re-live the memories once my running days are over. This one will be a little different, as there is simply not a lot of the race to write about and it all seems a little pointless now. As with everything, there are lessons to be learned and what now follows is a quick summary of how the race unfolded for me. The threatening bad weather disappeared as race day approached and as we entered the starting pen, the forecast was for some heavy rain and blustery winds, hopefully clearing out to become overcast and dry throughout most of Saturday. Kit choice had been tricky as a result, and I eventually opted to add some extra layers to my pack and also carry a heavier waterproof than usual, ready for the impending deluge and conscious I would likely be moving slower than usual. My good friend John Reynolds had done a great job of taping my back, stomach and glutes earlier that day, to try and assist with the injury I had been experiencing over the last few months. I felt apprehensive as we stood listening to the traditional pre-race rendition of Nessun Dorma, knowing that the next few miles would really define my race and tell me if I stood a chance of finishing. Standing beside me was Andy Haworth, who I was running the race as a pair with. Our original plan had been to push for a sub thirty hour finish and while I still had those times on my pace card, I was not convinced my body could manage it. We had debated splitting back to solo entries but decided to give it a go, thinking we would kick ourselves if my body held together and we flew around. Six o’clock arrived and we were off, running through the cheering grounds in Coniston and up the Coppermines Valley. I desperately looked for my family, who had travelled up for the weekend but just missed them in the crowds and heard “Go Daddy!” from my eldest son behind me as I passed him. As we began our climb out of the village my injury felt good, although I was still nervous. A hundred miles is a long way and I wouldn’t know for sure until we were over half way if I really stood a chance of finishing. The weather was overcast but surprisingly warm and as it started to rain lightly I continued without my jacket, as I didn’t want to overheat. As we drew closer to the summit of Walna Scar Road the rain increased and it was soon torrential, so a jacket was required and I stopped to pull one on. Andy was ready quicker than I was, so he pushed on as I sorted my kit out and continued the climb alone. Coming over the summit into the Duddon valley it was the polar opposite of last year, with beautiful blue clear skies replaced by visibility down to a few hundred metres and blustery rain. I was glad I had packed my heavier jacket. The descent to checkpoint one is long but perfectly runnable. However as I descended I became aware for the first time of pain in my right hip, which slowly increased and begin quite uncomfortable by the time I hit the valley floor. I was holding back as I ran, trying to manage my body but also needed to push on and catch Andy. As I arrived at the checkpoint in Seathwaite I knew my race was in jeopardy but filled my bottle and quickly pushed on, hoping it would ease as my body warmed and the race progressed. Andy and I walked and then ran across the valley and began the climb towards Harter Fell and Eskdale. The rain had now stopped and we were soon overheating on the climb past Wallowbarrow Crag, so stopped to remove our jackets. It was during the rest of the climb that the wheels totally came off my race. As the ground became increasingly boggy and heavy underfoot, the lateral movements required, bouncing around trying to keep feet dry, saw the pain in my hip rise rapidly. My breathing became laboured and I could literally feel the pain draining energy out of me. I was still moving but not as efficiently as I would have liked and Andy quickly pulled ahead. The climb and steep descent into Eskdale was a long, laboured and miserable affair. Once we hit the valley floor however and I was able to open my legs and run more freely, it subsided and my confidence improved. A mile from the checkpoint I caught Andy and together we ran towards the hamlet of Boot. In the final few hundred metres though my whole hip started to cramp and I slowed to a walk, for the first time convinced my race was over. It was a pretty dispirited Giles that arrived at the checkpoint in Boot and told Andy, John and Simon (who we had caught) that I thought my race was over. I was gutted! I always knew there was a good chance that I wouldn’t make it to the end but had hoped it would be much later in the race before it all fell apart. I could see I was holding Andy back and didn’t want to compromise his race further, as he was fit and obviously more than capable of running under thirty hours, as we had planned. I was also however aware that in ultra running things can improve as quickly as they can fall apart, and it is always worth taking some time before you finally decide to stop. As it was a comparatively short leg to Wasdale Head, I decided I should give it one last push and see if things did indeed improve. Maybe I just needed to run through the pain and it would just sort itself out? So I popped some pain killers, broke out my poles – much earlier than I had planned but desperate times called for desperate measures – and decided to push on and see how I felt at checkpoint 3. The light was fading, so I popped my headtorch on before we left Boot, remembering last year when Andy and I had raced the light to Burnmoor Tarn and how quickly it had faded. Surprisingly we weren’t that far off our time from last year but with the overcast skies it was going to be dark much earlier this time around. It did the trick and I soon caught Andy, leaving John and Simon behind us on the climb. We chatted for a bit but as we broke out onto the open fell, the ground became rough underfoot and once more I was struggling and the pain was increasing. In the blink of an eye Andy would be a hundred or so metres ahead of me and in the fading light I was alone and stumbling through the boggy ground. As I rounded Burnmoor Tarn I knew for sure my race was over. I was unable to keep up with Andy and I needed to cut him loose. Eventually I hit the tracked descent down into Wasdale and the constant jarring in my hip caused the pain levels to spike yet again and I found myself unsteady on my feet as a result. Ahead lay the long climb to Black Sail Pass, with a tricky descent beyond. If I was struggling here on a decent trail, I would be a liability to myself and others over there in the dark. The decision was simple but still painful to make, my Lakeland 100 was over. It was a tough call and one I continue to beat myself up about some days later. I needed to think about the bigger picture though. With a crack at The Full Spine Race planned for January and The Rebellion Ultra in November, I was better to withdraw now and focus on rehab, rather than push on, make things worse and put future races in jeopardy too. Andy and I regrouped at the bottom of the descent and I explained my decision. As always he was extremely supportive and was happy to continue if I wanted. My mind was made up though and as the Strollers Beach Party at Wasdale Head came into view, I ran over my own mini finish line into the checkpoint as the clock ticked on 23:00. Annoyingly and to rub further salt into the wound, it turned out that Andy and I were actually a few minutes quicker into Wasdale compared to last year, although heaven knows how! So there we have it. My first DNF! For the first time I failed to meet any of my pre-race objectives. That said, making it twenty miles into the course across wet and boggy ground and after not being able to run at all two weeks prior to the race, was a massive achievement. Could I have sucked it up and pushed on? Probably! Would I have made the injury worse, risked a fall or even worse? Almost definitely! Andy was quickly out of the checkpoint and it was great to see him go on to finish Lakeland 100 again, shaving more than two hours off our time from last year. Well done mate! As always the marshals and organisers were amazing, especially the Sunderland Strollers, who took great care of me once I staggered into their checkpoint. Finally a huge thanks to my good friend John Reynolds, who put so much time and energy into helping me make it to the start line. His advice, support and guidance was invaluable and he never gave up, even when I was at my lowest points. One of my biggest regrets with stopping was that I was letting all his efforts go to waste and for that I apologise. Many thanks mate, you are a total star as always! To close, while they were twenty painful miles, they were also twenty beautiful miles and it was great to be running in the Lake District once more and for that I am grateful. 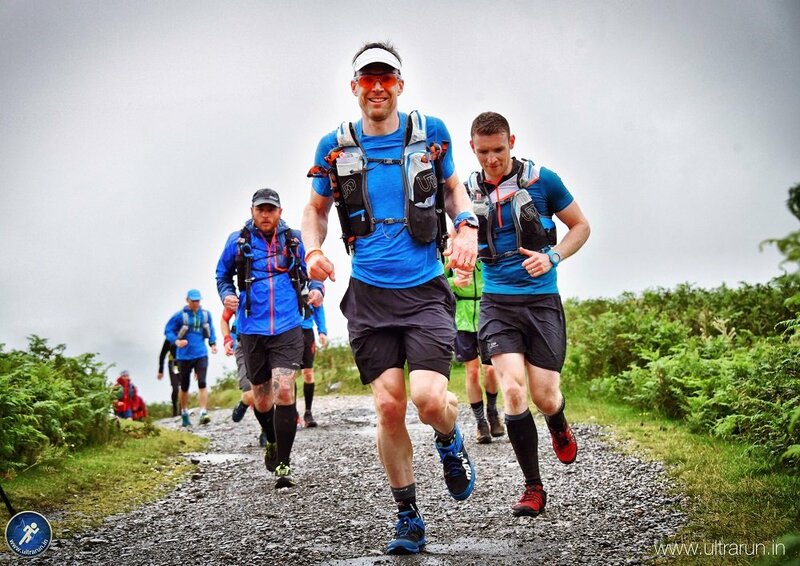 Lakeland 100 is a truly unique race and one that requires real determination to just start, let alone finish. Congratulations also to all who took part, regardless of how far you got. It was tough conditions underfoot and hats off to those who made it far further than I did. With one successful completion and one DNF of The Lakeland 100 on my running resume, I do now feel like I have unfinished business with this race. I will definitely be back as it is such a fabulous event but am in two minds whether to enter next year or not. It does dominate your year and there are other races I would like to focus on as well, so I will take some time to reflect and see how I feel in a few weeks when registration opens. For now my focus shifts to one of recovery and rehab, aiming to fix my issues and come back a stronger runner, ready for running adventures to come. More on that in my next post.